I have exciting news today! 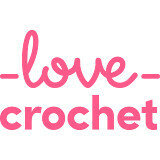 I'm collaborating with Apryl King, owner of Stitches Little, an Etsy shop specializing in modern cross-stitch patterns. Apryl is an experienced cross-stitcher and designer of patterns. Her shop has lots of wonderful designs, from cute animals and cartoonish characters to intricately detailed illustrations of jellyfish. She also has funny sayings, sweet sentiments and decorative designs with a mod flair. Apryl's designs are available as downloadable PDF's; she also includes guides for beginning stitchers to help them get started. Apryl and I connected when I shared a link to her shop in a recent post about cross-stitch. I had the opportunity to interview Apryl about her work and we had an interesting conversation about everything from her passion for crafts to her skill as a pattern-designer to her experiences as the owner of a successful Etsy shop. We really connected over our early introduction to cross-stitch and our similar interests in all things crafty. Me: How did you become interested in cross-stitch? Apryl: My mother used to stitch large and intricate pieces that really captured my imagination, so she agreed to teach me when I was about 9 years old. I first worked with the typical starter patterns that had the image stamped on the fabric and then moved on to counted cross-stitch. 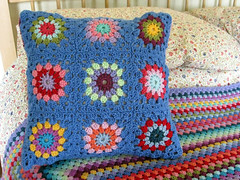 I stitched for a few years until I outgrew the teddy bears and heart patterns that were available and did not want to move on to the country motif patterns that seemed to dominate the market. To be honest, I think I decided that I was way too cool for a “granny craft” as I got older, so I traded it in for combat boots, pink hair, and mixed tapes. As a self-proclaimed Riot Grrrl in the mid-90’s, I don’t think I would have been caught dead with a cross stitch sampler. Fast forward to my mid-20’s when I randomly stumbled across Julie Jackson’s “Subversive Cross Stitch” book and instantly fell in love. I was truly inspired but felt stupid at the same time. It was so painfully simple and obvious that a cross stitch sampler could come in a variety of styles. I wasn’t stuck with just traditional or primitive style patterns. To be clear I don’t think there is anything wrong with wanting to cross stitch an image of an English garden or a farm scene. It’s just not my thing, and I think that in order to dedicate hours of your life to a project and then hang it in your home, it should be your thing. When did you start creating your own designs? I discovered a few programs online that allow you to draw or import an image and convert it into a cross stitch pattern for free. I experimented with different images and eventually became obsessed with turning Andy Warhol prints into patterns. Something seemed hilariously “meta” to me about spending hours intricately cross stitching a pop art version of Marilyn Monroe for my house. I still haven’t done it yet, but that project is something I always think about whenever it is time to pick a new pattern to stitch. I eventually made my own patterns from quotes or phrases so my friend and I could make Christmas presents, and that evolved into drawing my very own designs. How do you create your designs? What software do you use? Do you draw them? Do you use photos? I currently use a program called StitchSketch. It’s a wonderful app for the iPad, and I highly recommend it for anyone that wants to experiment with making their own patterns. There is a free but limited version you can use to test it out, and they offer the full version for only $7.99. I create my patterns in one of three ways. Sometimes I will start with a rough sketch and then chart the pattern based off of it. Because StitchSketch is an iPad application, you “draw” with your fingers, so I often just draw my patterns directly in the software. I have also purchased art from different designers when I feel that their work will translate well to a pattern. Ellen from SweetShopDesigns was very nice and agreed to let me make some patterns from her clip art. I’m very much inspired by other designers. I adore the work of Weelittlestitches, SatsumaStreet and What Delilah Did. These are my probably favorite designers at the moment. I’ve purchased and stitched patterns from all of them. I should also mention that I am a fan of redbeardesign, flossandmischief, plasticlittlecovers, and FoxYouAreSoCrafty. Some of these designers are new like me, and I like to support their efforts to provide unique and interesting patterns. I’ve been told that I should focus my efforts on directing traffic to my shop instead of pointing potential customers to other shops. I’m sure there is some wisdom in that idea, but I really want to promote cross stitch and embroidery more than anything else. I would like for people to fall in love with the craft, and I feel the best way for that to happen is to show them everything that is being offered by so many talented artists. I make designs that appeal to my tastes, but with so much now available, there is surely something for everyone. Tell us about owning an Etsy shop; when did you open? What was the first thing you sold? What does the future look like for your shop? I opened my Etsy shop on 1/20/14, and I made my first sale on 2/6/14. The first item that I sold was my Fuzzy Love cross stitch pattern. I was both surprised and elated because it affirmed my belief that it was possible for me to turn my hobby into a side business. My intention for the first year was to experiment and then learn as much as possible about running an Etsy shop. I had very low expectations for my first year, so when I started to regularly sell items and receive positive feedback, I was caught off guard. I feel lucky but also proud of what I’ve accomplished so far. My primary focus has been to release a variety of patterns and to learn how to make the most of my Etsy shop. Now that I am reasonably established, I want to shift my focus to improvement. I am researching different software programs because I would like something that provides more features and a higher quality pattern. I would also like to start a blog and a corresponding newsletter by the end of the year. Aside from listing new patterns, I intend to expand my product line to include cross stitch kits, finished and framed pieces and even mini hoops from Dandelyne with my little designs stitched inside. Finally, I think that blackwork and embroidery patterns would make a great addition to my shop. I feel that the possibilities are endless, and I’m excited to see what else I can accomplish with a little time and effort. Apryl has generously offered to give away one of her patterns to a lucky reader of my blog! I know you're going to love her designs. The designs in this post are two of my favorites from her shop and I love many others too, especially her retro-modern designs, many of which remind me of Orla Kiely's leaf and flower patterns. I love her Grow Your Garden design and her Mod Vines and numerous Mod Bird patterns. How about you? You can win the pattern of your choice from Apryl's shop! Just go to Stitches Little on Etsy and have a look (be aware that some designs contain strong language). Then come back here and leave a comment letting us know which pattern is your favorite. I'll draw a winner at random from the comments and Apryl will email the pattern to the winner in PDF form! To enter this giveaway, you'll need to be a follower of my blog (or begin following now). The giveaway is open worldwide. The winner will need to provide a valid email address and will also need to be able to open and download a PDF. Our giveaway will end on March 9. I'll announce a winner soon after. 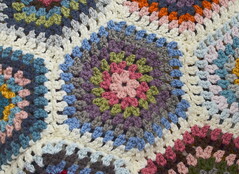 The winner will contact me with his or her email address, which I will forward to Apryl; she'll email the pattern. I hope you'll enter our giveaway! Have fun choosing a favorite design and good luck! My favorite is the rainbow feather design. Your friend had made some absolutely fabulous patterns !! The feathers are gorgeous, I especially like the raven feather.. But that cute little bright bird is also too cute... Wouldn't know what to choose !! What a great post. I enjoy these type of interviews, getting to know a designer better and finding out how they came to be doing what they are. I like the Grow Your Garden design too. I loved the bubble gum forest. but lots of fun cross stitches. great to read how she has got this far. Good morning! I would pick that bird above. Love birds and love cross stitch! It's so nice to sit in the evening and relax doing some cross stitch. I'm a follower of your blog with Bloglovin, also. I'm torn between the "UGH" and the Modern Forest... more than likely, "UGH" will win out because I say that all the time... lol. I love the Retro Scandi cross stitch - great collections! Just gorgeous! my fave is mod garden! I think I like the Beetle best. My sister in law loves bugs and this would be fun to stitch for her! Thanks!